If I didn’t know any better, I would accuse you of plagiarism. 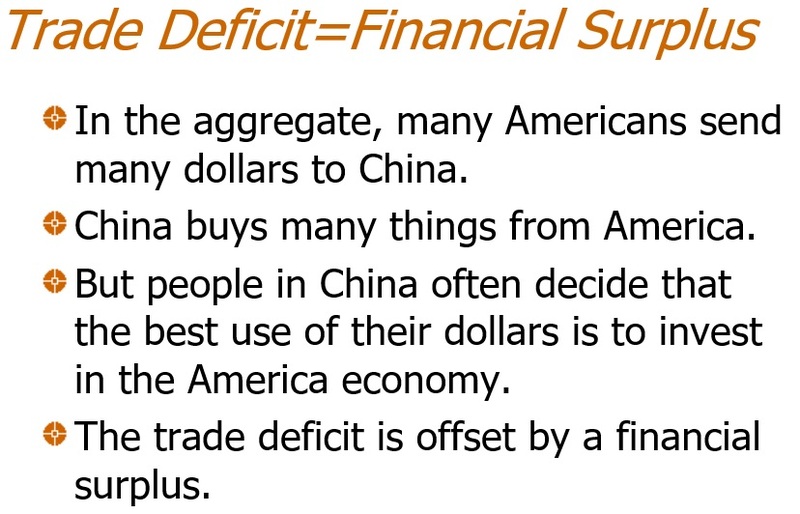 I’ve used these same arguments and examples when trying to convince others that there really aren’t any trade imbalances. 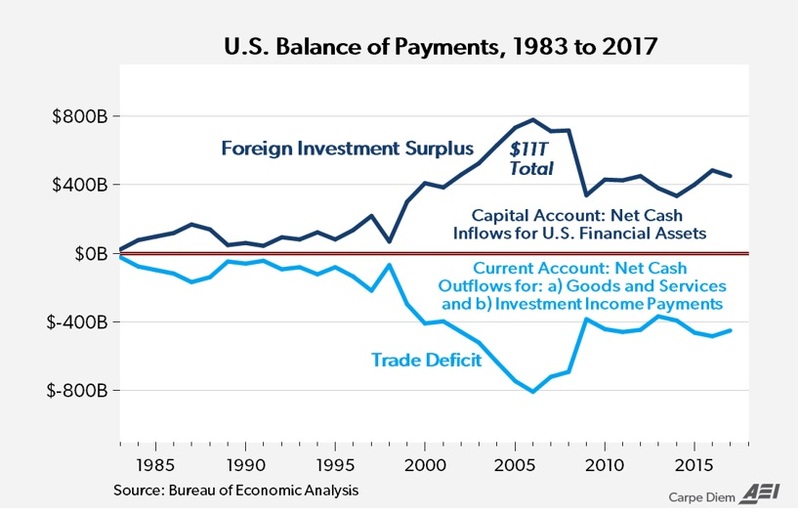 Countries don’t trade, people do. When you give money to a trading partner, they give you a product or service in return. 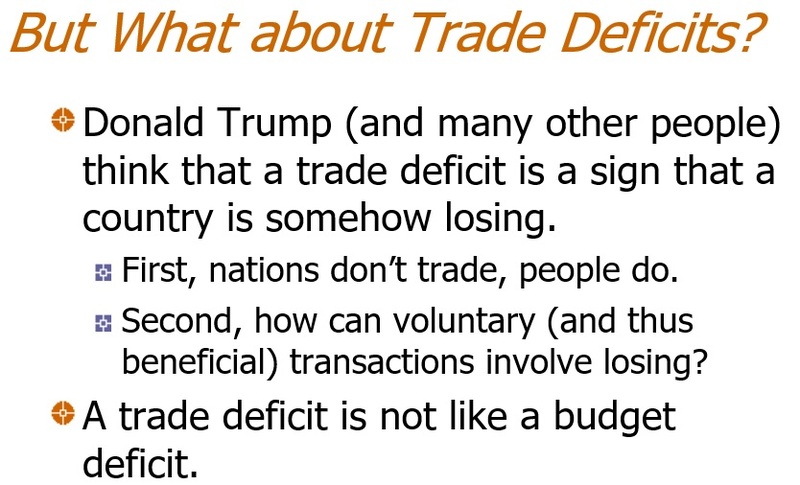 By definition, the trade is then equal. 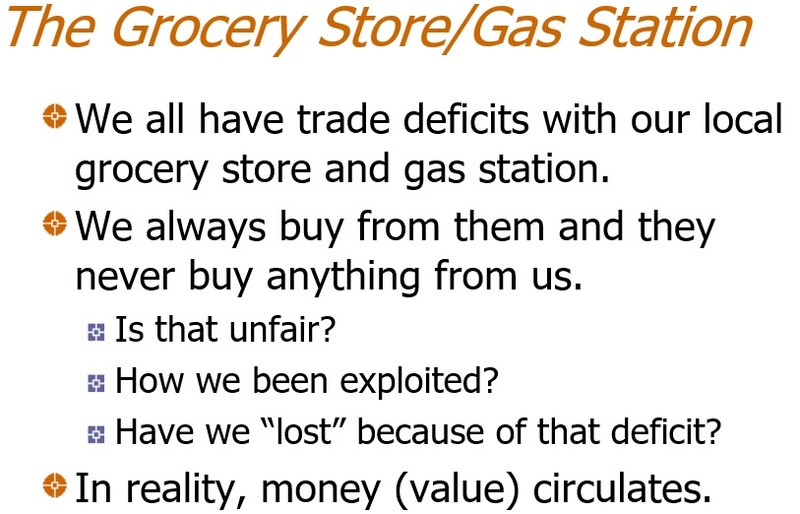 I run a deficit with my grocery store, but a surplus with my employer. I’m glad to see that my arguments are validated by your scholarly work. Thank you. What you don’t seem to take in to account with regards to trade with Red Friggin’ China is that they use the proceeds of the sales of consumption goods to us to buy up our politicians, especially here in California, I won’t mention any names in particulare, but one politician’s initials are Diane Feinstein.